Dry Coating of powders to form composite particulates has been firmly established and has garnered interest both in academia and industry due to its myriad applications. This thesis work is an attempt to map the progress of the dry coating technology from its incipient years in the '80s to the thriving practice in the present day. Dry coating is a relatively simple approach to coat powders with specific guest particles via mechanical means to produce composites with desired tailor-made properties, without the constraints of harmful emissions or huge capital investment. Composite particulates with enhanced flowability, high-temperature resistant properties, and modified dissolution characteristics have found its applications in pharmaceuticals, food and agriculture, electrical and automobile sector, cosmetics, ceramics and so on. 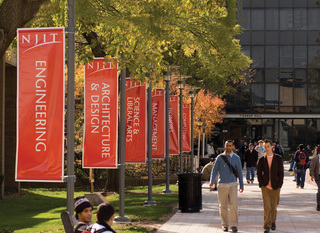 Besides the Japanese researchers who were the pioneers in this field, considerable impact has been made by our own research group at NJIT. This review is an attempt to benchmark our progress and open up newer research fields yet untapped in the practice of this novel dry coating technology. Bhaumik, Sayani, "Principles and applications of mechanical dry coating - review and state-of-the-art" (2015). Theses. 223.